When I was in Central New York a few years ago, attending a graveside service for my mother who died at age 93, and seeing my sister Joyce's headstone next to our parents now dual headstone, I realized again what an enormous impact Joyce's long, courageous struggle with Multiple Sclerosis had on our family, and how truly positive that impact has been, despite its tragic end. Joyce was diagnosed with MS in 1974, when she was 27 years old. For the next 20 years she experienced the exacerbations and remissions of symptoms that characterize her form of this disease. The symptom that led to the diagnosis - a mild hearing loss - disappeared almost immediately and never recurred. The rest of the symptoms then began slowly, at first affecting only slightly her ability to control her left leg while walking, and her balance. Over the years she experienced many "flare-ups," as she called them. After each one, she recovered almost completely, but never entirely. So little by little her condition in "remission" became more and more impaired. Eventually the disease left her unable to walk, unable to transfer on her own, unable to write legibly, with slurred speech and impaired judgment and cognition. Prednesone, the only available treatment for flare ups at the time, rendered her delusional for several days. The worst exacerbation left her in a coma for three weeks and in need of nursing care for another five months. Yet she recovered to continue to lead a life in which she remained as active as she could possibly be. In early 1994 she was found dead in her apartment, either from a massive MS-induced seizure or from MS's gradual destruction of the nerve paths that supplied the impulses to keep her heart beating. Through all this Joyce maintained an incredibly positive attitude. What we all admired most was her ability at all times to balance a fierce determination to maintain as much independence as she could, with an undemanding acceptance of the assistance she needed. Her desire for independence was firm, but gentile - never hostile or off-putting to those who offered more assistance than she wanted. Her acceptance of help was quiet and realistic - never demanding or complaining about the need for it. Oh, she cursed the disease itself on many occasions, but she never expressed any self-pity or resentment over her lot in life. What amazes me as much as anything is how much of life she was able to experience and enjoy right up to the end. She stuck with her career as a teacher of developmentally delayed young people until her inability to meet the demands of the classroom motivated her to move to a supporting position in her school. She stuck with that position, driving herself to work in a car specially equipped with a hand-controlled accelerator and brake pedal, until the after-effects of an exacerbation ruled out any steady work. She still remained active in her church, even joining the church choir on two singing trips to Europe at a point where her symptoms would have caused most people to stay home. The day she died she had arranged her own transportation to church, using the special public transportation options available in the Minneapolis area; she had sung in the choir; and she had returned to her apartment using the same system on her own. Joyce could not have done all this without the extraordinary support of the MS community in the Twin Cities, the love and encouragement of the members of her church and her friends, and a remarkable pair of agencies in that area that are committed to empowering people with disabilities to maintain all the independence of which they are capable. To the very end she lived in her own apartment in a building that was entirely handicapped accessible, constructed by the National Handicapped Housing Institute. On the premises, an agency called Accessible Space provided services carefully tailored to the needs and abilities of each of the residents, most of whom were young and middle aged adults with a variety of disabilities. These services were provided centrally, on a schedule and on demand, so all the residents received virtually all the benefits of private duty personal care at a fraction of the cost. Joyce died with her boots on - literally and figuratively. I have never admired or been as proud of any human being as I am of my sister for the way she handled 20 years of the devastating effects of multiple sclerosis. In my eyes she went from the pesky little sister of my childhood to a friend and inspiration throughout her lifetime. She gently taught me to respect her own abilities and independence and to substitute an attitude of collaborative empowerment for the big-brother protectiveness that had been ingrained in me when she was little. She taught me more about faith and courage than anyone I have ever known. This is why I ride 150 miles on a fall weekend every year, and do my best to raise as much money as I can from my sponsors. I get much more out of the MS 150 event than I give. 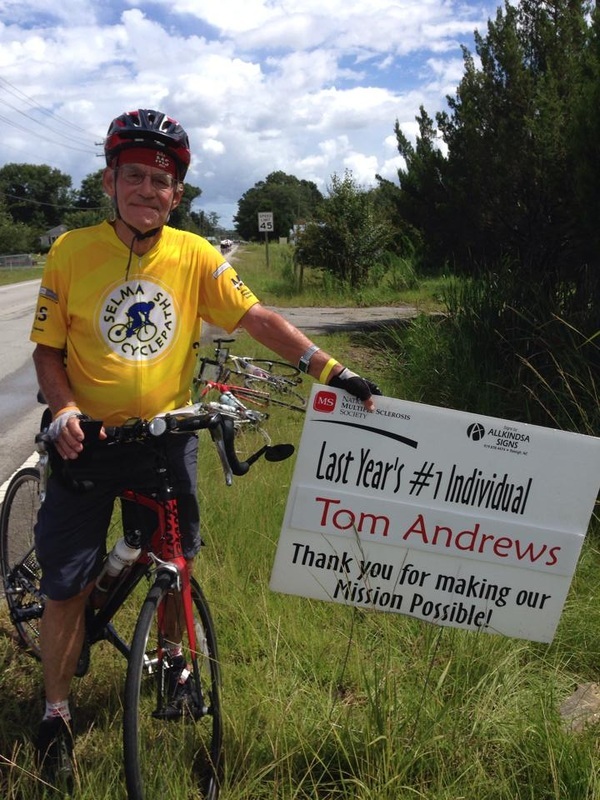 The warm encouragement and support of the people across the State with whom I have worked in our court system, of the members of my church, and of my family, neighbors and friends, combined with the enthusiasm and dedication of the other riders, the volunteers and the staff, all make the MS 150 a truly special part of my life each year. Thanks to all of you who make this possible. Because of these and other fundraising efforts, the treatment of the symptoms of MS has come a long way, just the years since my sister died. If we keep up this good work, we will see the day when the devastating effects of MS are ended for good! I started riding bicycles when I was 11 years old in Whittier, California, delivering prescription drugs for three pharmacies. 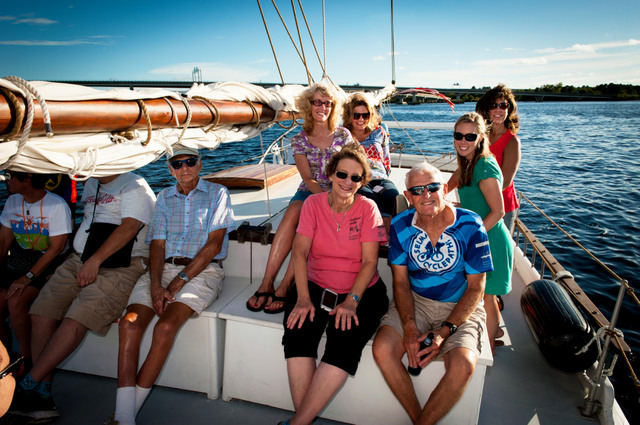 When I lived in Winston-Salem I would ride with a group from the Moravian Church, taking trips to the Blue Ridge Mountains, Wilmington, and Myrtle Beach. But my real love for riding began fifteen years ago when I saw an advertisement for the MS-150 Bike Tour. 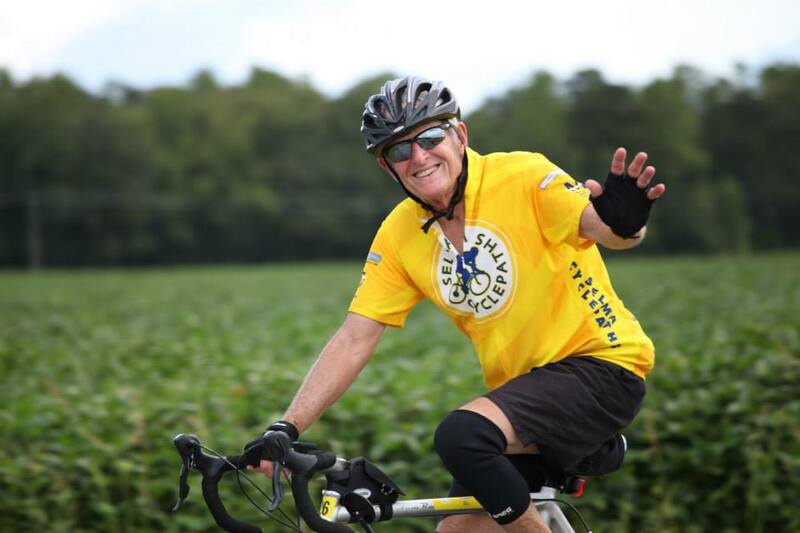 I called my friend Bob Bryant and suggested that we train and make this ride because I knew his brother Larry had been diagnosed with MS. We barely had enough time that summer to train for 45 miles. But we both thought we were in good enough shape to ride all 150 miles. Bob did better than I did. I created four rest stops of my own the last 5 miles to the finish line. We both vowed that we would never make that ride again unless we really did some serious training. So we gathered a group and started riding training rides together. I love all the Selma Cyclepaths, the training rides are wonderful and the two days in New Bern are the highlight of my year (as I write this I am planning a trip to Paris in two days with my wife and youngest son and believe me, I would rather be going to New Bern to ride the MS-150!) It's not only just about having fun. The best part is raising money for the Multiple Sclerosis Society. I send letters to everyone I know. In all these years, I have been turned down only a couple of times when I asked people to contribute to this great cause. Sending a personal letter and explaining why you ride always produces the best results. Every year I have ridden I have been awarded the Jewelry Boomerang award for fund raising. I find it rewarding to raise this money - after all that's why we ride! I expect that the Eastern Chapter will raise over one million dollars this year on the MS-150 Bike Tour, and I am convinced that the Selma Cyclepaths will be high on the list of fund raising teams (one of theseyears we will be number one in fund raising). I have ridden in 15 consecutive Bike Tours. I retired my old Fugi bike when I turned 62 and used my first social security check to purchase a Klein. I have made a pact with Bob that I will ride this Bike Tour until I turn 70 years old, and then I will play it by ear. You should come ride with us too! 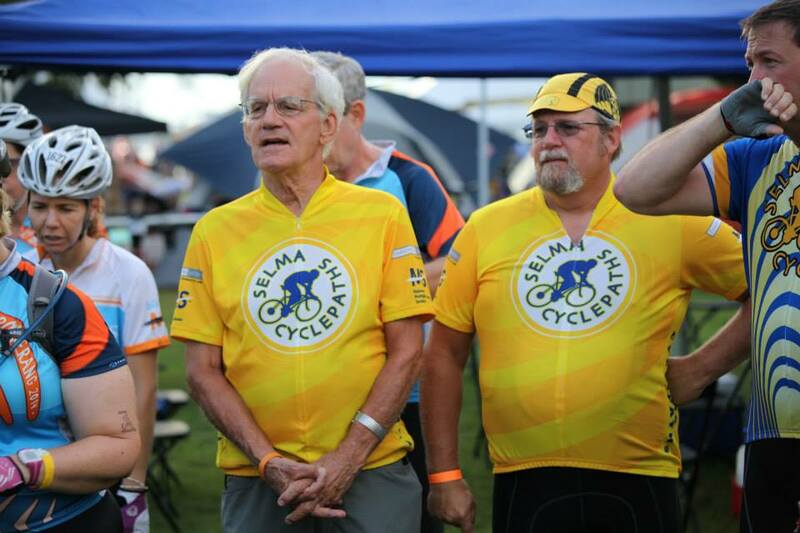 Please join the Selma Cyclepaths this summer for some great training rides and for the MS-150 Bike Tour with the best team in North Carolina. 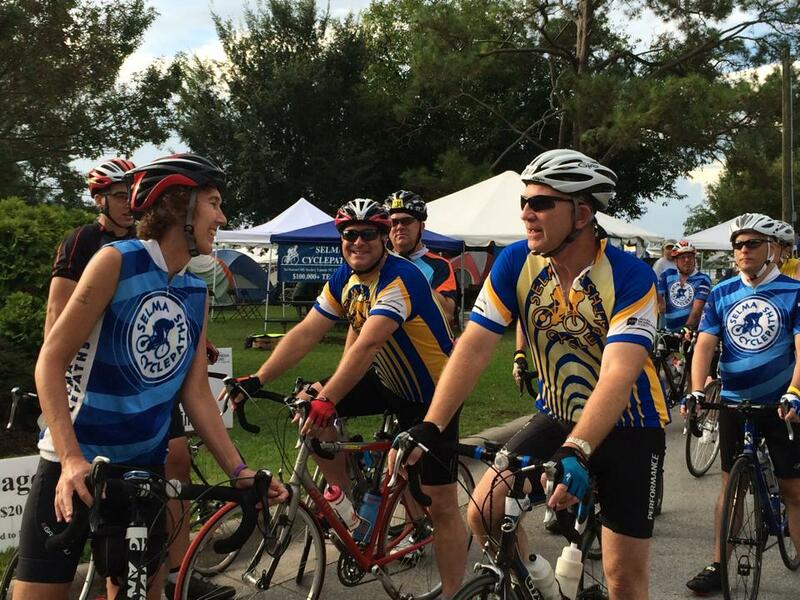 My original motivation for riding in the MS-150 Bike Tour was because my brother, Larry, was diagnosed with MS. This is still primarily what motivates me to ride. Were it not for Larry, I might have tired of riding my bicycle by now. Larry's condition has progressively worsened over the years. He is disabled and largely housebound at present. To see him go from being healthy and very athletic, with a good job, to someone who on many days has difficulty walking, has been heartbreaking. He has handled it fairly well and I am proud of him for that. Over the years of riding with others, I have developed some additional motivations for participating in the MS-150. The caring and camaraderie of this eclectic group of folks that call themselves the Cyclepaths has brought and continues to bring me warm satisfaction. 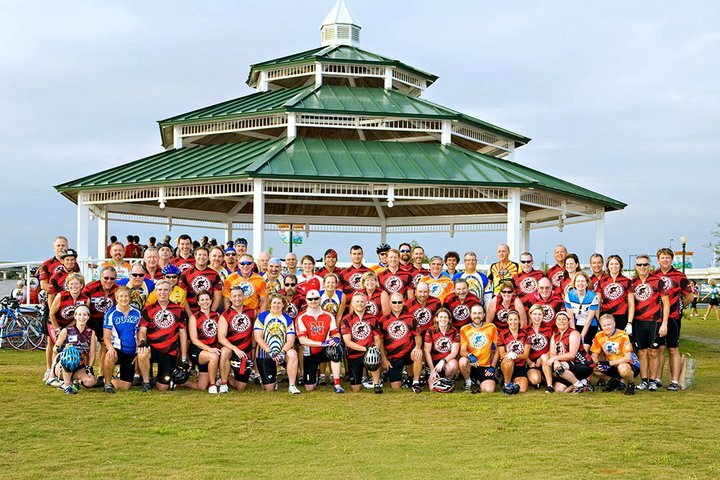 Seeing these folks (most of whom don't have a family member with MS, like I do) train and raise lots of money is amazing and it touches my heart! Friendships have developed among the Cyclepath riders, and I have grown closer to these folks as time has passed. Good health and fitness is a nice side effect from riding regularly, so this too is part of the motivation. The training rides are fun, they lift my spirits, and the bucolic scenery around Johnston County is beautiful. Annual challenges from friend and fellow Cyclepath Dave Holmes to ride "five more years," and the personal challenge I make to myself to see how much money I can raise, both provide some of the incentive to ride, as well. But for me the strongest motivation remains the same: I long for my brother to be back like he was! Or at least that he be healthier and more comfortable than he is now. And raising money for MS research seems as good a way as any for me to try to help him. 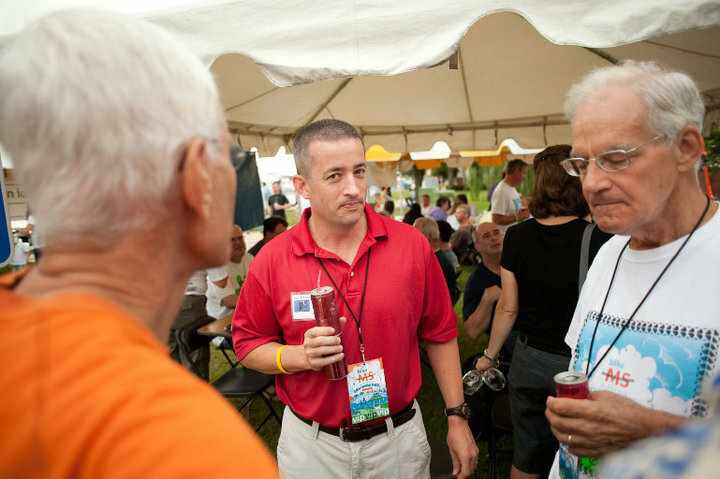 I am encouraged each year because there are advances being made in the research and treatment of MS. Ten or twelve years ago, there were virtually no medicines to treat MS. Now I know of at least five new drugs that can help with the symptoms - dramatic help for some, a little help for others. I like to think that these advancements have been made, at least in some small part, because of the money I and others of the Selma Cylcepaths have personally raised. When I ride my bicycle for training purposes and when I ride in the MS-150, I am not racing anyone. Yet I do sometimes feel like I am in sort of a race against time. I do hope and pray that a cure for, or a major break-though in the treatment of, MS will be discovered soon - before my brother runs out of time. I am not a scientist or a doctor. I cannot find or develop a cure for MS myself, but I can ride a bicycle, and I can raise some money for research. This is my way of helping Larry and others like him suffering from this disease. It is a fun, healthy, energizing way to help others! ~ Robert W. Bryant, Jr.